(Temecula, California) February 19, 2019 – Do you know someone who has actively helped in the fight against counterfeit coins, banknotes and/or fake third-party encapsulation holders the past year? The Anti-Counterfeiting Educational Foundation (ACEF) is seeking nominees for its third annual Alan Kreuzer Memorial Award. 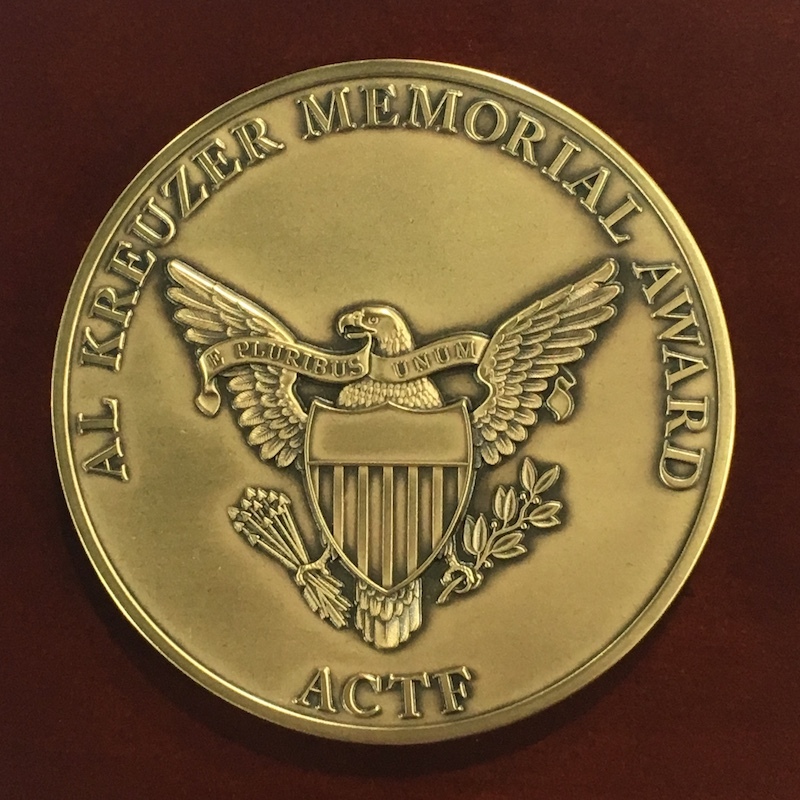 “This award is a prestigious honor to recognize the vigorous anti-counterfeiting efforts of collectors, dealers, law enforcement agents or others who are diligently trying to protect the numismatic marketplace,” said ACEF Executive Director Robert Brueggeman. “Previous recipients have included individuals who helped catch counterfeiters or identified suspects selling fakes, or significantly helped combat counterfeiting by generously donating to the foundation,” explained Brueggeman. The award is named after the late Alan “Al” Kreuzer, a Castro Valley, California coin dealer who was instrumental in alerting the hobby to help identify counterfeit third-party certification holders and fake insert labels. After his death in 2016, his daughter, Chandra, donated $50,000 to help establish the Anti-Counterfeiting Task Force that now is part of ACEF. The deadline for nominating a candidate for the 2019 Kreuzer Award is May 31, 2019. Send the nomination to info@acefonline.org. Nominations must include the nominee’s full name, title and business affiliation, as well as nominee’s contact information and, of course, the reason he or she should be considered for the award. The 2019 award will be presented during the Professional Numismatists Guild awards banquet on August 12, 2019, the eve of the American Numismatic Association World’s Fair of Money® in the Chicago suburb of Rosemont, Illinois. The Anti-Counterfeiting Educational Foundation is a nonprofit 501(c)(3) corporation that oversees the Anti-Counterfeiting Task Force. Former award-winning editor Beth Deisher is ACEF Director of Anti-Counterfeiting and coordinates the work of more than 40 task force volunteers nationwide. Among its many accomplishments last year, the foundation and its task force provided assistance in more than 30 active cases of counterfeit coins and precious metal bullion products being investigated by U.S. Customs and Border Protection, U.S. Homeland Security Investigations, U.S. Secret Service, and U.S. Treasury Department’s Office of Inspector General. One case involved the arrest of a suspect who possessed counterfeits that could have been sold for an estimated $48 million if they had reached the marketplace. For additional information and to make a donation, contact the Anti-Counterfeiting Educational Foundation at its website www.acefonline.org, or at 28441 Rancho California Road, Suite 106, Temecula, CA 92590. The phone number is 951-587-8300.